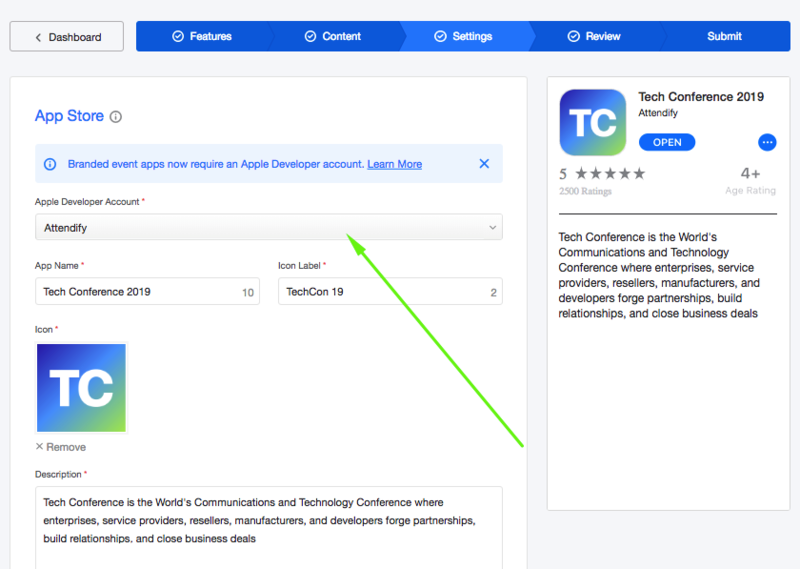 After adding your Apple Developer Account information in the account settings area, learn how to link your branded event apps. Once you've added your Apple Developer Account information in the account settings area, you can link it to the branded event apps that you'd like to submit. Note: Only the App owner should add the developer account details for their account. This is the individual who created the app with Attendify on their account. The process is pretty simple. When building your app, on the third step (Settings) of the building process, click on the Apple Developer Account field and choose the necessary account from the drop-down list. That's it! When you submit the app, this Apple Developer Account will be automatically linked to it and our submit team will be able to see this in the system.